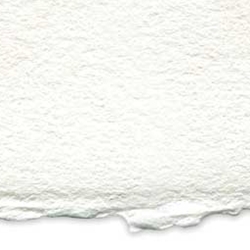 This French-made, 300gsm (140lb) deckle-edge paper is specially formulated for oil painting. It is ready-to-use and requires no gesso or special preparation. It features a powerful and efficient oil barrier that absorbs water, solvents and binders evenly while allowing paint and pigment to remain on the surface. Less brittle than gessoed paper, it is resistant to chipping or cracking. It is easy to cut, roll, frame, store and transport. Available in 22"x30" Sheets.